Airsoft Software announced a new update of their Hollywood programming language and made an upgrade for existing users available. 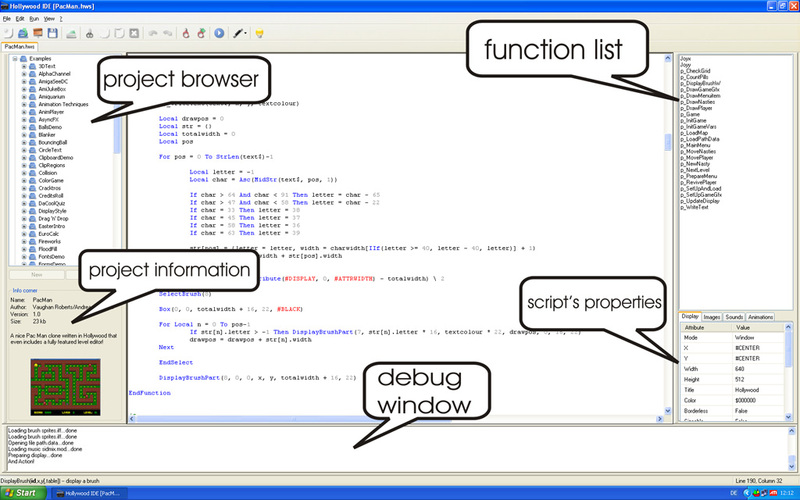 Hollywood is a commercially distributed programming language developed by Andreas Falkenhahn (Airsoft Softwair) which mainly focuses on the creation of multimedia-oriented applications by means of a real easy to learn scripting language. One of Hollywood features is a inbuilt cross-compiler which can be used to deploy software on many different platforms without having to change a single line of the code. It currently supports the following platforms: AmigaOS 3 (m68k), AmigaOS 4 (ppc), Android (arm), AROS (i386), Linux (i386), Linux (ppc), Mac OS X (i386), Mac OS X (ppc), MorphOS (ppc), WarpOS (m68k/ppc) and Windows (i386). In this update many things were addressed (it is really a very important and huge update), please see the announcement for more information about the changes. Also exciting is the fact Hollywood soon will become available again for purchase (as well as Hollywood Designer).